Substance Abuse Center for Behavioral Health Statistics and Quality. Results from the 2016 National Survey on Drug Use and Health: Detailed Tables. SAMHSA. https://www.samhsa.gov/data/sites/default/files/NSDUH-DetTabs-2016/NSDUH-DetTabs-2016.htm. Published September 7, 2017. Accessed March 7, 2018. Cicero, T.J.; Ellis, M.S. ; and Surratt, H.L. Effect of abuse-deterrent formulation of OxyContin. N Engl J Med 367(2):187–189, 2012. National Institute on Drug Abuse. Epidemiologic Trends in Drug Abuse, in Proceedings of the Community Epidemiology Work Group, January 2012. Bethesda, MD: National Institute on Drug Abuse, 66. Pollini, R.A.; Banta-Green, C.J. ; Cuevas-Mota, J.; Metzner, M.; Teshale, E.; and Garfein, R.S. 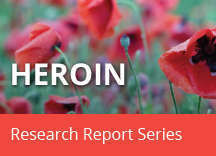 Problematic use of prescription-type opioids prior to heroin use among young heroin injectors. Subst Abuse Rehabil 2(1):173–180, 2011. Lankenau, S.E. 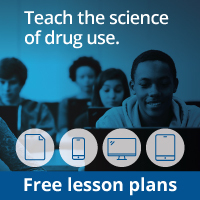 ; Teti, M.; Silva, K.; Jackson Bloom, J.; Harocopos, A.; and Treese, M. Initiation into prescription opioid misuse amongst young injection drug users.Int J Drug Policy 23(1):37–44, 2012. American Psychiatric Association. Substance-Related and Addictive Disorders, in Diagnostic and Statistical Manual of Mental Disorders, 5th Edition. Washington, DC: American Psychiatric Publishing, 540–550, 2013. National Institute on Drug Abuse, Community Epidemiology Working Group. Epidemiologic Trends in Drug Abuse, in Proceedings of the Community Epidemiology Work Group, January 2014, Bethesda, MD: National Institute on Drug Abuse. In preparation. Waldhoer, M.; Bartlett, S.E. ; and Whistler, J.L. Opioid receptors. Annu Rev Biochem 73: 953–990, 2004. Johnson, S.W. ; and North, R.A. Opioids excite dopamine neurons by hyperpolarization of local interneurons. J Neurosci 12(2):483–488, 1992. Goldstein, A. Heroin addiction: neurobiology, pharmacology, and policy. J Psychoactive Drugs 23(2):123–133, 1991. National Library of Medicine. Cerebral hypoxia. Available at: https://medlineplus.gov/ency/article/001435.htm. Updated March 5, 2018. Accessed March 17, 2018. Wang, X.; Li, B.; Zhou, X.; Liao, Y.; Tang, J.; Liu, T.; Hu, D.; and Hao, W. Changes in brain gray matter in abstinent heroin addicts. Drug Alcohol Depend 126(3):304–308, 2012. Ignar, D.M. ; and Kuhn, C.M. Effects of specific mu and kappa opiate tolerance and abstinence on hypothalamo-pituitary-adrenal axis secretion in the rat. J Pharmacol Exp Ther 255(3):1287–1295, 1990. Kreek, M.J.; Ragunath, J.; Plevy, S.; Hamer, D.; Schneider, B.; and Hartman, N. ACTH, cortisol and beta-endorphin response to metyrapone testing during chronic methadone maintenance treatment in humans. Neuropeptides 5(1-3):277–278, 1984. Li, W.; Li, Q.; Zhu, J.; Qin, Y.; Zheng, Y.; Chang, H.; Zhang, D.; Wang, H.; Wang, L.; Wang, Y.; Wang, W. White matter impairment in chronic heroin dependence: a quantitative DTI study. Brain Res 1531:58-64, 2013. Qiu, Y.; Jiang, G.; Su, H.; Lv, X.; Zhang, X.; Tian, J.; Zhou, F. Progressive white matter microstructure damage in male chronic heroin dependent individuals: a DTI and TBSS study. PLoS One 8(5):e63212, 2013. Liu, J.; Qin, W.; Yuan, K.; Li, J.; Wang, W.; Li, Q.; Wang, Y.; Sun, J.; von Deneen, K.M. ; Liu, Y.; Tian, J. Interaction between dysfunctional connectivity at rest and heroin cues-induced brain responses in male abstinent heroin-dependent individuals. PLoS One 6(10):e23098, 2011. Kreek, M.J.; Levran, O.; Reed, B.; Schlussman, S.D. ; Zhou, Y.; and Butelman, E.R. Opiate addiction and cocaine addiction: underlying molecular neurobiology and genetics. J Clin Invest 122(10):3387–3393, 2012. Chen, L.H. ; Hedegaard, H.; and Warner, M. QuickStats: Number of Deaths from Poisoning, Drug Poisoning, and Drug Poisoning Involving Opioid Analgesics - United States, 1999–2010. Morbidity and Mortality Weekly Report 234, 2013. Magiorkinis, G.; Sypsa, V.; Magiorkinis, E.; Paraskevis, D.; Katsoulidou, A.; Belshaw, R.; Fraser, C.; Pybus, O.G. ; and Hatzakis, A. Integrating phylodynamics and epidemiology to estimate transmission diversity in viral epidemics. PLoS Comput Biol 9(1):e1002876, 2013. Centers for Disease Control and Prevention. Surveillance for Viral Hepatitis - United States, 2014. Atlanta, GA: Centers for Disease Control and Prevention, 2014. Jones, H.E. ; Kaltenbach, K.; Heil, S.H. ; Stine, S.M. ; Coyle, M.G. ; Arria, A.M.; O’Grady, K.E. ; Selby, P.; Martin, P.R. ; and Fischer, G. Neonatal abstinence syndrome after methadone or buprenorphine exposure. N Engl J Med 363(24):2320–2331, 2010. Kraft, W.K. ; Dysart, K.; Greenspan, J.S. ; Gibson, E.; Kaltenbach, K.; and Ehrlich, M.E. Revised dose schema of sublingual buprenorphine in the treatment of the neonatal opioid abstinence syndrome. Addiction 106(3):574–580, 2010. Lund, I.O. ; Fischer, G.; Welle-Strand, G.K.; O’Grady, K.E. ; Debelak, K.; Morrone, W.R.; Jones, H.E. A comparison of buprenorphine + naloxone to buprenorphine and methadone in the treatment of opioid dependence during pregnancy: maternal and neonatal outcomes. Subst Abuse 7:61–74, 2013. Kraft WK, Adeniyi-Jones SC, Chervoneva I, et al. Buprenorphine for the Treatment of the Neonatal Abstinence Syndrome. N Engl J Med. 376(24):2341-2348, 2017. Boyer, E.W. Management of opioid analgesic overdose. N Engl J Med 367(2):146–155, 2012. Coffin, P.O. ; and Sullivan, S.D. Cost-effectiveness of distributing naloxone to heroin users for lay overdose reversal. Ann Intern Med 158(1):1–9, 2013. U.S. Food and Drug Administration. FDA approves new hand-held auto-injector to reverse opioid overdose. FDA News Release. April 3, 2014.